What is Server Status Checker? Server status checker tool helps you check server status response immediately that your server is down or not. The tool can take up to 100 URLs. It comes in handy when you need to collect the information about a particular server is down or not. If the server responds in a long time then it is a matter of distressing as Web page load pace is essential to both guests and the search engines. Larger response time can slow down the page loading speed, which can drive the guest to hit the back button which tends to enlarge the rebound rate of the website. The website server can be down anytime and it affects the guests. Various available server status checker tools help you to examine the website status and take essential actions whenever the website status goes offline. These online tools play a vital part in checking various concerns relevant to your website as it checks the server status. Every website owner runs a business online, the website needs to be live and gets data accessed from the server. The Server Status Checker checks your server status that is life or not by requesting the server. If the server status checker finds and detects the website is not live, it provides server status and performance of your website with server status code. It is very important to check the server response code to know the status of the server. Usually, the server status is checked by sending a request to the web server using http (hypertext transfer protocol), the server replies with a 3 digit code to know the server availability status. Thus the information is available to both user and search engines available of page or not. We already know that Server connectivity and DNS plays a very important role in SEO ranking. If the server disconnects frequently then it plays a very bad role in ranking your web page, so it's important to check your server status every day. If the status code replies with different 3 digit numbers, then it's required to know the status code of server connection. Are you running multiple businesses? If so, you must regularly check the server status of your different websites. What if you come to know that your business website is down for such a long time? It will impact your overall sale or revenue. Yes or not? Hence, it is necessary to check the status of a website from time to time. This will ensure that the site is working properly and users do not face any difficulty when loading a website. Today, a lot of server status checker utilities available online to check the status of your website. Obviously now you are thinking what these utilities do. You can get to know what’s wrong with your site using these utilities. And once you come to know what’s wrong with your business website, you can fix the issue. Let’s find out in detail about the server status checker. Why do we need the Server Status Checker tool? It’s always good to check the server status of websites if you own many business websites. In fact, you also need to check the status if while using the Internet you are unable to connect to a particular website. Checking the server status may divulge whether you are blocked or the server is down. And if the status of your website server is offline, this means the visitors will not be able to log on or surf your website. It will affect your business ranking, revenue, and traffic as well. Hence, it is a critical concern and you should track it cautiously and on a regular basis. The server status checker tool let you know if your website server is active or down and also the reason if it’s down. Once you get to know the cause of offline status, you can work to bring it back to online. Hence, you should utilize the server status checker tool if you want your business website to perform well. Server status checker tool is actually easy to use. You just need to give the URL of a particular website and the tool will check if the server of that site is down or not. Along with this, you can also enter the multiple URLs at the same time in order to check the status of all your sites in one go. How you can check server status? HTTP 200 - The HTTP code means the server is online and working fine. HTTP 301 - Moved permanently. This code indicates that the URL you are requesting is permanently moved to a different location. HTTP 302 - The code means temporary redirection. HTTP 307 - It means temporarily redirected and can be accessed next time. HTTP 400 - The code indicates bad request and URL you are requesting is not comprehensible to the server. HTTP 404 - This means page not found. The requested page is not available. It may be deleted or moved from the server. HTTP 500 - The code indicates Internal Server error. This means something is going wrong with the server and to resolve the concern you should contact the server administrator. HTTP 503 - forbidden error or not connected properly. 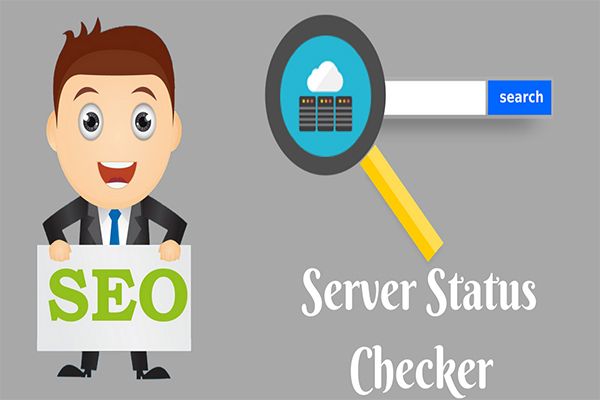 Server status checker tools help you to improve the visibility of your business website on different search engines. These tools track 100 percent accurate status of your website. There are many server status codes to know activity or performance of the server. For the purpose of this tool is to identify the server is ready and working lively with 200 response code for running an online site. Checking the server status can be important if you want to connect to a site and want to recognize if it is down or what. Different available online server status checker tools are used to check the server status of websites or a particular website. The status of the website will tell the business owner whether the site is online or offline. Online status means the website is working appropriately and any user can easily visit the website. On the other hand, offline status means there is some issue with the website and it cannot be accessed by some visitors. In order to use the server status checker tool, a user requires entering the specifics of the domain name in the toolbox and the tool will test the status of a website. This tool must be used at frequent intervals as the site server can be down anytime which affect the visitors. Hence, by utilizing this tool a business owner can keep a regular eye on the website status and take immediate actions whenever the website status comes down. How does the Server Status Checker tool work? Server status checker tool is competent in checking the exact status of a website. A user can enter the URLs of many websites (up to 100 sites) at a single point of time. And the tool will check the status (whether down or not) of those 100 websites in a fraction of seconds. However, the tool lets the individual inspect the status of their website only. If an individual tries to find the status of the website belongs to other (owned by others), then the tool will not display the status as he/she do not have the authorization to check the status. In order to use the tool, you have to put particulars of the domain name in the given tool field and the tool will do the rest of work for you. You can utilize the server status checker tool at customary intervals as the server can be down at any point of which influence the user’s experience. The major benefit of using this tool is that it asserts the status of a website on the usual interval whether the site is working or not. One of the advantages of these tools is that they uphold visitor’s traffic on a site. Actually, the offline status of a website signifies that user cannot access that site and therefore the guest will switch towards another website. Hence, it will minimize the viewer’s traffic. By utilizing the server status checker tool, you are able to know the reason why website status is down and take essential steps. It will definitely advantageous for both website owner and visitors as they can access the website hassle free. The server status checker tool is beneficial for both the business owner as well as users. If an individual wants to know the status of a website which does not belong to him/her, the tool help him/her to identify the reason why a website is not working. This is because whenever you enter a URL it will return an error code and every code have different meaning or message. Another benefit of using the server status checker tool is that you can check the status of multiple websites at the same time. You just need to enter the URL of different websites. It plays a major role in seo ranking. Helps user to identify the type of server problem overcome connection between DNS and server application. The server code will help you to solve web page errors using webmaster or server status checker tool. Every website owner runs a business online, it needs to be live and get access from your server. The Server Status Checker checks your server status live or not by requesting the server. If the server status checker finds and detects the website is not live, the tool provides detail server status of your website will not be indexed and disappear on the search results. It is very important to check the server response code to know the status of the server. There are many service status code like 200, 301, 302, 505 and many other server codes. For the purpose of this tool is to identify the server is ready and working lively with 200 ok response code for running an online site. How fast the servers respond to a web page load time? A check on server response time and status can provide intriguing information for you in order to acquire the backlinks. The performance of a website is not only necessary for practical reasons. Moreover, it is an important aspect of optimistic user experience. No business owner wants his/her website to remain down for an extended period. Hence, try the server status checker tool in order to get all that you desire for your business.